Anyone who hadn’t heard of El Ultimo Taco at the start of the Texas Taco Showdown probably had by the end of it. The Brownsville taqueria took first place during the May 19 competition in San Antonio, part of that city’s 19th annual Culinaria Wine & Food Festival, an outcome predicted by the restaurant’s marketing director, Oscar Palomo, before he and the taco team set off last week for the Hill Country. Ultimo’s tent was in a less-than-prime spot, last in a line of dozens of entrants and perched atop the third of three hills. By the time most people got to the tent they’d already eaten quite a few tacos, but it didn’t matter, Palomo said. “People would ask for one, then they’d get back in line and order five or six at a time,” he said. 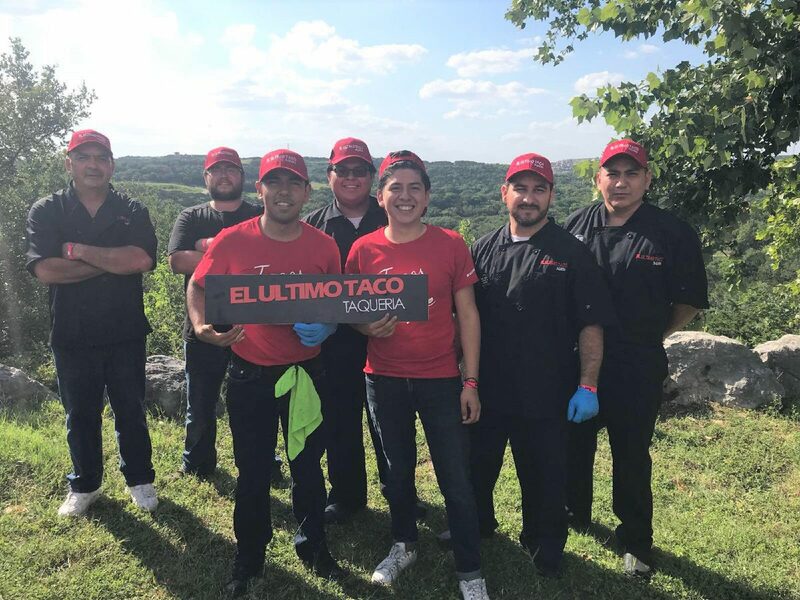 Unlike competitors that would prepare 30 tacos or so and put them out on a table to get cold, the Brownsville team made its tacos to order, with no limit on how many people could take. One man ate 18 free tacos, Palomo said. Another said he was from Mexico and that there was no way the tacos could be as good as the hype, but he’d try them since he was there. “He had five the first time and came back and ate six, and got some to take home,” Palomo said. Ultimo’s charro beans, also made fresh on-site, were a big hit in addition to its tacos, he said. The team gave away lots of shirts and other assorted freebies, and while the smell of onions frying likely lured a fair number, word-of-mouth drove most visitors to the tent, so many making the pilgrimage that Ultimo basically took over the event, Palomo said. Taco Heads, from Fort Worth, won second place. In third was Tucker’s Kozy Korner of San Antonio. Palomo said a lot of people, including the judges, were impressed that Ultimo’s team came all the way from the Rio Grande Valley, he said. Ultimo, which started 19 years ago in Brownsville, was planning to open a location in Harlingen in fall 2019 and then McAllen the following year. After last weekend, the plan has been adjusted. Instead of McAllen, the new plan is to go straight from Harlingen to San Antonio, where Ultimo just created an overnight customer base. And while El Ultimo Taco was teaching a master’s course in tacos last weekend in the Alamo City, some folks got a bonus geography lesson.